For the second year in a row, Mungere athletes competed in a trial race through their home village. 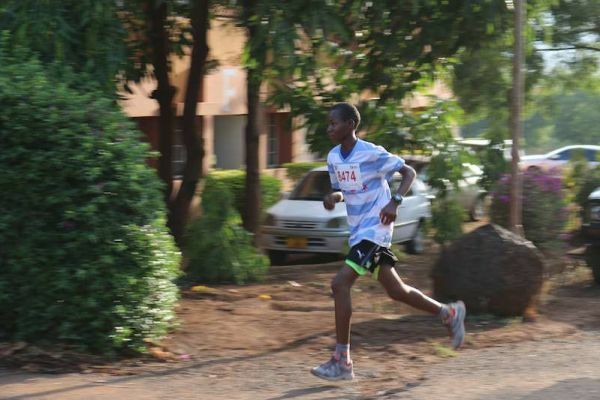 They vied for ten coveted spots on the team that would race in the Kilimanjaro Marathon 5k in Moshi, the small Tanzanian town at the base of Africa’s tallest freestanding mountain. The fastest-clocked boy and girl from each class earned a place in the race. Winners included Form V’s Aziza and Edward, Form IV’s Glory and Faustine, Form III’s Yohana and Sarah, Form II’s Mgeni and Dominiki and Form I’s Zena and Losotu. The students left Mto wa Mbu with their sports coaches and Mungere staff at 3:30am on the day of the marathon to make the long drive to Moshi for the 7:15am start time. For many of the runners, this was the first time they had been in a private car or even left the Mto wa Mbu area. They beamed with excitement as they started the journey before dawn. Cruising through Arusha, the largest city in the northern region, students marveled at tall skyscrapers and viewed the summit of Mt. Meru. 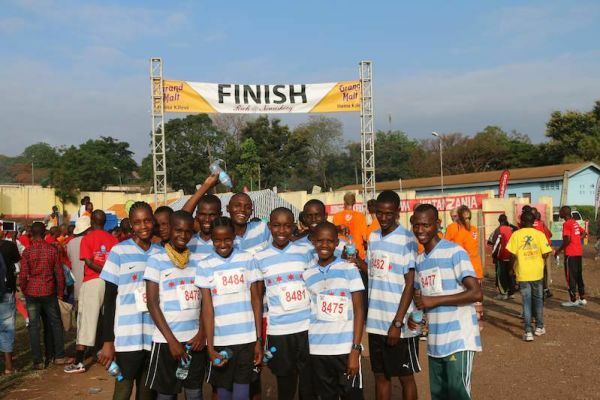 Thousands of racers gathered at the start line and the Mungere students followed the crowd as they ran alongside people of all ages and athletic abilities, some wearing running gear and others racing in their everyday clothes. The course took runners through a quiet neighborhood where bystanders cheered the racers on and water was passed out to offer relief from the early morning sun. 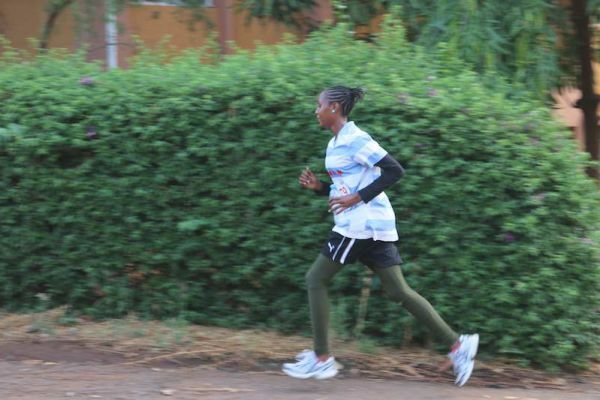 Form IV student Faustine finished in the top ten and every student ran the entire race without taking a break or walking, which was seen as a great accomplishment for the whole Mungere team. 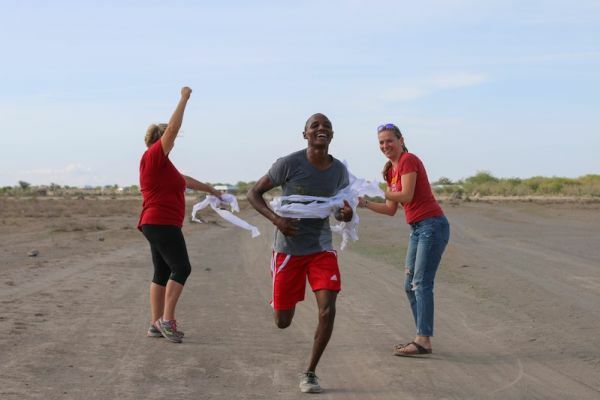 Afterward, they stood at the finish and watched the half and full marathon racers come across the line, cheering with excitement as their neighboring Kenyans took home the largest prizes. On the way home, the staff and students made a stop in Arusha to enjoy a refreshing swim in a pool and a pizza lunch. For some of the students, this was the first time they’d experienced non-African food and they loved tasting the different flavors from China, Italy and India — especially dipped in ketchup! Before leaving, the kids took their first ride ever in an elevator. They stared out the glass walls in amazement as they rose nine stories above the city. Some were too scared to watch the ascent, but when they arrived at the top, the students all agreed it was a thrilling experience they wouldn’t soon forget. Between the car ride, seeing Mt. 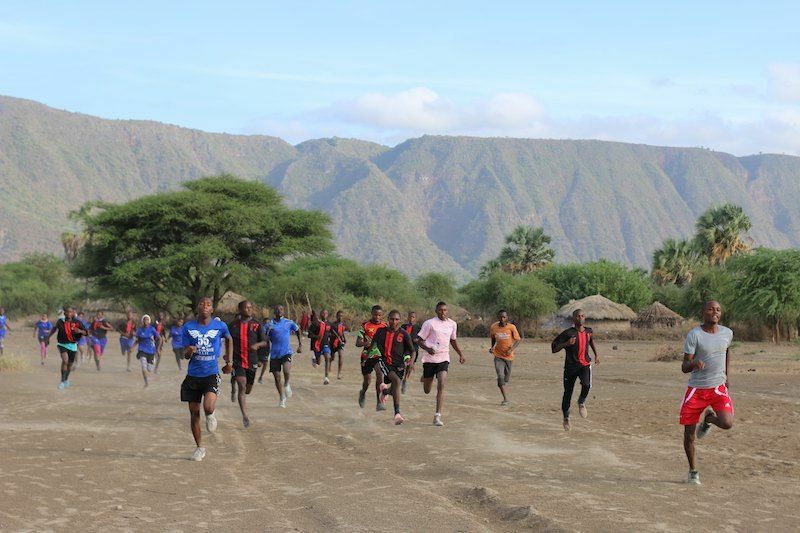 Kilimanjaro in person, pizza, and swimming, the Kilimanjaro race continues to be a highlight of the school year for the students—some Mungere athletes are already talking about training for the half marathon! Next year’s competition is guaranteed to be fierce!